This new bi-fold wallet has a dual functionality. 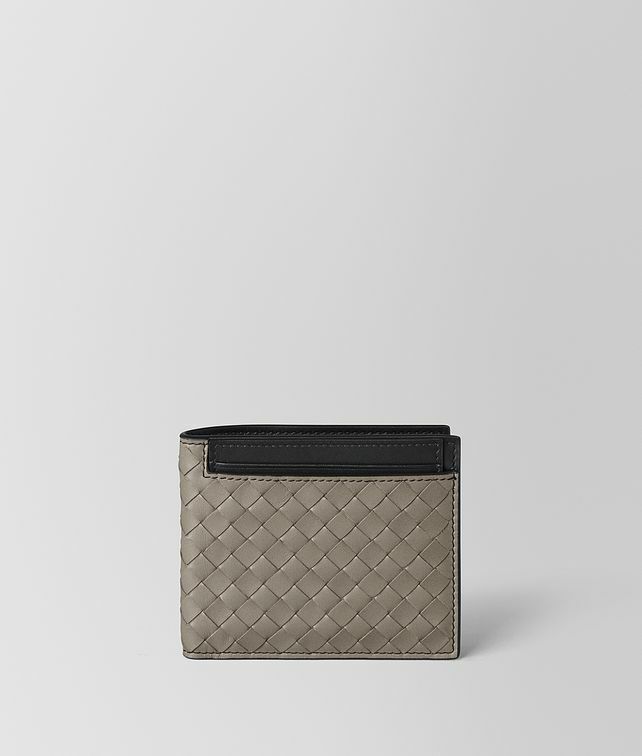 Crafted from VN calf leather in the signature intrecciato weave, it features an external slot fitted with a removable card case in a contrasting colour. The interior, made in the same hue as the card case, features a coin pocket and three compartments for notes and receipts.